Experience "The Ship of the Desert" Camels are considered to be old Rolls Royce of the desert. 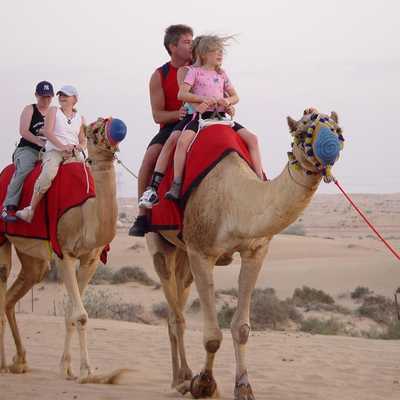 Camel safaris in Dubai are always done in groups, which is known as "Caravans". Camels endure the strong winds in the desert. 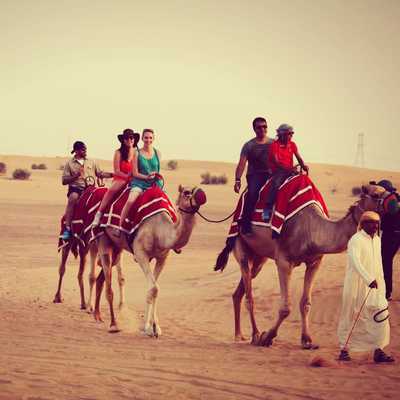 During your camel ride, our experts will help you in capturing beautiful moments of your ride so you just enjoy your day. It's fun to sit on and off the camel during the ride to experience once in a lifetime. In ancient time It carries up to 2 people with the limited baggage from one destination to the other for 3 days without food and water and it can hold on the desert storm with easy. This tour is specifically designed for people who have the thirst for adventure and want to experience desert activities in Dubai. 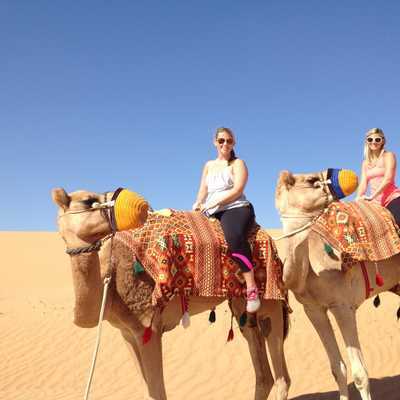 Our guide will pick you up from the Hotel/ Residence and will take to the middle of the desert where you can enjoy Camel ride and Sand Boarding at the golden dunes of Dubai. 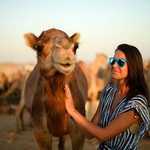 Once done with Sand Skiing, you can then enjoy the Camel Ride after which our guide will drop you back to the drop off location. Extra charges applicable for pick up locations outside of Dubai CIty Limits. Prices includes pick up and dropoff.